Share the post "Quick plays: KAYLEIGH LEITH, KIMMIE RHODES, BAND OF SISTERS, THE BEAUBOWBELLES"
Looking for a Nashville ‘new country’ sound on her second album, young American singer songwriter Kayleigh Leith turned to one of Nashville’s top songwriters Rob Crosby (Lady Antebellum, Martina McBride). Her debut album Miles Away (2011) having failed to create much of a splash, Rob brought on board a number of other co-writers plucked from the current leading lights turning the wheels of the Nashville song writing machine. The result, This Woman, is 10 radio timed tracks aimed squarely at the American Idol audience. It opens promisingly enough with ‘Born Ready’ a number that in the hands of Bon Jovi or Bad Company has the hallmarks of a classic, but it fades far too briefly just as it’s building up a head of steam. And that just about sums This Woman up, from a ‘rock’ perspective. Bridging the pop / rock divide is a hugely difficult balancing act Pink just about managed to credibly put one foot in each camp on a few brief occasions before falling back into the pop swimming pool. And the most authentic current exponent is Orianthi who has six string dexterity to bolster her case. Those who’ve recorded songs by, or collaborated with Austin Texas based singer songwriter Kimmie Rhodes reads like a who’s who of country music legends Willie Nelson, Wyonna Judd, Trisha Yearwood, Waylon Jennings, Emmylou Harris , Patty Griffin, Gillian Welch … and list goes on. Since releasing her first solo album in 1981 she’s released fifteen solo CDs, been involved in music radio, and various other outlets, like film and playwriting. And on the back, she’s built up a solid European fanbase. Covers, her first release since the loss of her partner Joe Gracey in 2011, is as the title suggests an album devoted to the songs of other writers many of which will be familiar – ‘Yesterday’ and ‘With A Little Help From My Friends’ by Lennon and McCartney, Jagger and Richard’s ‘Moonlight Mile’, ‘Everything Is Broken’ and ‘Don’t Think Twice’ by Dylan, ‘Southern Accents’ by Tom Petty and Neil Young’s ‘Birds’, for example. It’s a reflective and considered affair that slows much of the material down several notches and puts the focus very much on the lyrics and Rhodes vulnerable delivery – in a manner not altogether dissimilar to some of Eva Cassidy’s more popular work. In days of yore, an album featuring 15 different artists would probably have been termed a ‘sampler’. But in these pick ‘n’ mix download days, and the ability to collaborate over the worldwide web, we’re seeing an increasing number of ‘projects’ conceived in a virtual world. Band Of Sisters is one such project the brainchild of David Mindel British songwriter, composer, producer and musician whose work includes more than 150 songs, 4,000 commercials, fifty television themes and numerous film scores. Inviting female singers and songwriters to contribute via Facebook and collaborating via file sharing, with the final mixes being carried out in his home studios in France, the result is an album themed on ‘issues’ picked by the artists and featuring big names like Tessa Niles and PP Arnold, rising stars like GRTR! favourite Mim Grey, and newcomers like the young Bridie Rose. Having trained at Britain’s best opera and music schools, this London based four-piece group of multi-instrumentalist singer songwriters bring something fresh to the party with their debut EP. From the traditional country folk hoedown of ‘To The Moon’, through the Western country lament of ‘Need Someone To Talk To’, the middle Eastern gypsy folk of ‘Alien Tango’ (‘I think my boyfriend has been abducted by aliens, and I’ve been left with this crappy imitation’ a wonderful lyric) and the folk stomp of ‘These Days’ it’s a trip that transcends genres. 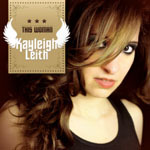 This entry was posted in ALBUM REVIEWS, All Posts, Quick Plays and tagged album, Band Of Systers, country, Covers, Issues, Kayleigh Leith, Kimmie Rhodes, review, rock, roots, singer, songwriter, The Beaubowbelles, This Woman, To The Moon. Bookmark the permalink.